L&J Technologies Emergency Vent and Manhole Cover is an economical solution to present day emergency venting requirements. 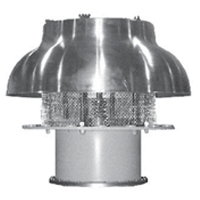 It is designed to relieve excessive internal pressure in liquid storage tanks. Its economical price provides excellent protection against costly tank roof rupture repair. The sizes are 16”, 20”, 24”, 30” and 36” ANSI 150# (ANSI) connections and 20” and 24” API 650 (API) roof manhole connections. The 94200 is available with low base for liquid overflow. When specified, elongated guides and special stops can be provided to limit pallet lift. The pallet guide is deep enough to assure proper reseating of pallet after pressure relieving at lower overpressures. Pallet will reseat when tank pressure drops below set pressure. For tank venting or examination, the pallet may be removed off its base offering a clear unobstructed passage. A retaining cable is provided to fasten the pallet to the base. 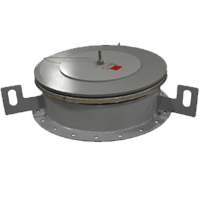 L&J Technologies 94530 Snap Action Vacuum Vent permits air flow into liquid storage tanks when the internal vacuum exceeds the vent setting. The vent is held closed tightly at vacuum levels lower than the setting and at positive pressures. It is designed for operation at static pressure up to 3 PSI and at temperatures between -20 and +220 degrees Fahrenheit. Vacuum settings are available up to 43 inches water column. The body is mounted into the tank nozzle. Nozzle depth on tank should not exceed 8”. Designed for replacement of ruptured disc where system pressure spikes cause premature rupture disc opening.